A clean wash for your beard without the smallest trace of a scent! Yes, it's possible. Col Conk's Unscented Natural Beard Wash combines special shampoo, conditioner, aloe and Argan oil designed especially for facial hair. Made by cosmetic artisans in small batches in the US, our Natural Unscented Beard Wash moisturizes as it cleanses, not only preserving natural oils but neutralizing any stray or lingering odors facial hair may have picked up. Here's a beard wash, like our Natural Unscented Beard Oil, that has everything that's great about our natural line – except a scent! 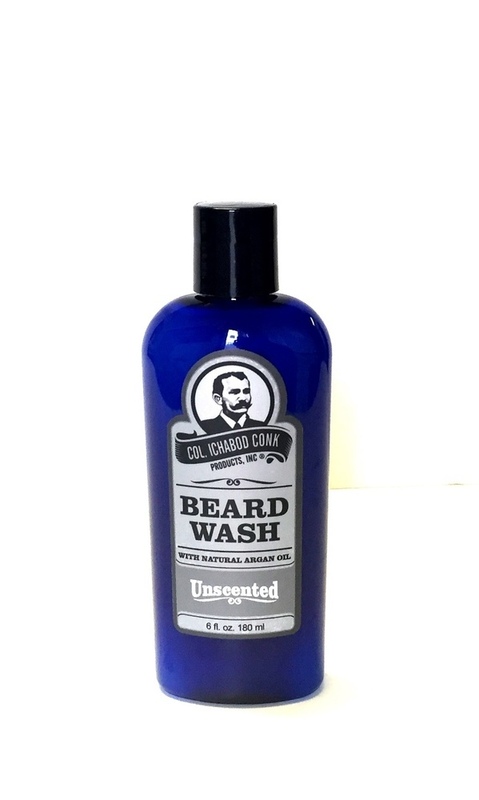 As close to natural as you can get, Col Conk's Unscented Beard Wash has the barest minimum of preservatives to keep the product fresh on your shelf.